Neither party is currently seeking to increase the age pension age to 70. They both agree that it should rise from 65 to 67 in six-monthly intervals by 1 January 2023. They both agree that the Superannuation Guarantee (SG) should increase from 9.5% to 12%, however Labor wants to fast-track this while the current Government has a freeze on the increase. Please remember that these are proposals only and may never become law whether Labor wins the election or not. The current cap for making non-concessional contributions (using after tax money to contribute to your super) is $100,000 pa. You can also ‘bring forward’ three years-worth of contributions into a single year and pay up to $300,000. Labor proposes to reduce the annual cap to $75,000 per year. Another way to contribute to super is by making concessional contributions (before tax or deductible contributions) to super - up to a cap of $25,000 per year. The benefit of this is that concessional contributions are generally subject to contribution tax of only 15% rather than your marginal tax rate. The current Government allows people, who can’t maximise the $25,000 cap in a particular year, to contribute any unused cap amounts in a later year - as long as it is made within the next five years (conditions apply). Labor proposes to abolish the ability to make catch-up concessional contributions. Currently, concessional contributions are generally subject to contribution tax of 15% but high income earners may be subject to an extra 15% Division 293 tax. This translates to a total of 30% tax on contributions. High income earners currently pay this higher contribution tax if their income is greater than $250,000 pa. Labor plans to reduce this income limit down to $200,000 pa. The current Government’s paid parental leave scheme is $719.35 per week for 18 weeks to eligible parents. However, no super contributions are currently paid. Labor wants parents to have access to 26 weeks of paid parental leave at full pay plus super through a combination of Government and employer super contributions. Limited recourse borrowing by self-managed superannuation funds (SMSFs) to acquire property investment has grown significantly since 2007. Labor proposes to prohibit direct borrowing by superannuation funds for housing investments. Their view is that this type of borrowing by SMSFs crowds-out first homebuyers. Labor proposes to remove the ability to claim excess imputation/franking credits in cash from the ATO. If you receive income support from the Government such as the Age Pension or Disability Support Pension you will not be impacted. Nor will SMSFs that had at least one pensioner recipient before 28 March 2018. Negative gearing refers to the situation where you make an investment that loses you money in the short term. For example, when the interest you paid on the loan and any related costs are greater than the income you receive such as rent from an investment property. Currently, you can deduct any losses associated with the investment from your personal income. Labor plans to restrict negative gearing to investors of all asset classes acquired after a certain date. If you invest in new housing or you have an existing investment, this change is not likely to affect you. Currently, individuals and trusts are entitled to a 50% discount on the capital gain amount when they dispose of an investment asset, providing they have held the asset for more than one year. Labor plans to limit the capital gains tax discount on assets that are purchased after a certain date by halving the capital gains tax discount from 50% down to 25%. If you invest in a new investment such as housing or you have an existing investment, this change is not likely to affect you. 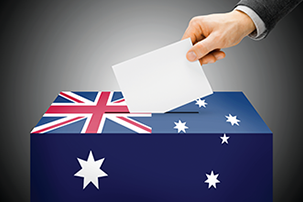 Even if Labor wins the next election, the details of these proposals may change or may never come into effect. We will update you of any changes as they occur. Bridges Financial Services Pty Limited (Bridges). ABN 60 003 474 977. ASX Participant. AFSL 240837. Bridges is part of the IOOF group. This is general advice only and has been prepared without taking into account your particular objectives, financial situation and needs. Before making a decision based on this information, you should assess your own circumstances or consult a financial planner or seek taxation advice from a registered tax agent. In referring customers to Bridges, Laboratories Credit Union does not accept responsibility for any acts, omissions or advice of Bridges and its authorised representatives.